“Brilliant.” “Spellbinding.” “Original.” “Passionate.” These are words that respected music journalists have used to describe Strawbs live … today. With five decades of colorful history behind them, Strawbs evolved from 1960s British Folk Movement roots to a powerful and enduring force in progressive rock music. Led by the charismatic Dave Cousins, who has been called the most talented Dylan-influenced songwriter to come out of England, Strawbs dynamic performances, marked by impassioned vocals, tight harmonies and precise instrumentation are exciting, lush and timeless. With Cousins at the forefront (vocals, guitar, dulcimer and banjo), Chas Cronk on bass, Dave Lambert (lead guitar and vocals) and Tony Fernandez on drums, today’s Strawbs look very similar to those who brought us some of our favorite classic rock albums, including the iconic “Hero & Heroine,” ranked by Rolling Stone Magazine in 2015 as one of the top 50 progressive rock albums of all time). 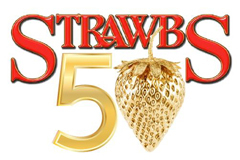 New to this veteran Strawbs line-up (a line-up that has through the band’s existence included music legends Sandy Denny, Rick Wakeman and Blue Weaver), is Dave Bainbridge, a keyboard virtuoso who has mesmerized audiences across Europe and North America while performing with his Celtic folk/rock band Iona.